BEIJING • Alibaba founder Jack Ma has practised taiji for more than 30 years. He even tells his staff to use fictional warriors' names from literature classics as their nicknames at work. Now, he will showcase his martial arts prowess in a 20-minute movie called Gong Shou Dao (the art of attack and defence). An eight-minute clip will be screened at the Tmall Double-11 Night Carnival, a television gala by Chinese e-commerce giant Alibaba, on Saturday. The TV gala, an annual promotion event held on Nov 11 - China's biggest online shopping day since 2009 - will air on three satellite channels in Beijing, Shenzhen and Zhejiang province, as well as on several video-streaming sites such as Taobaolive and Youku. Pop diva Faye Wong teams up with Ma to sing the movie's theme song. 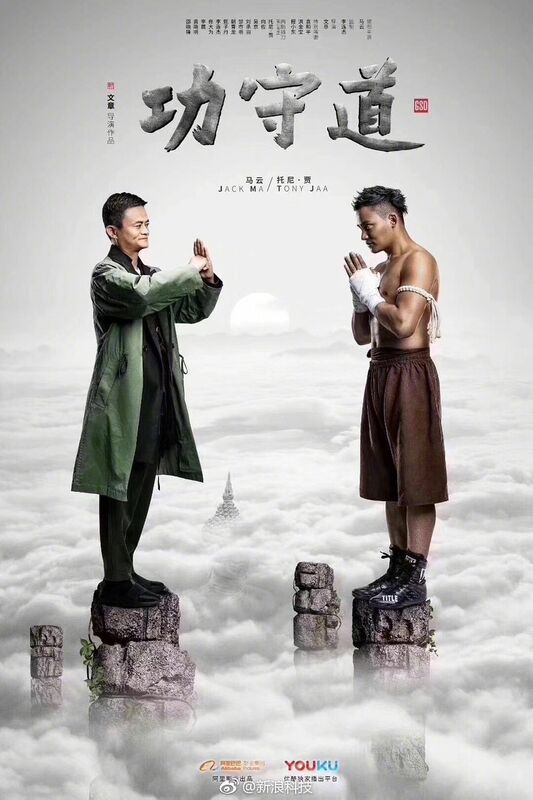 The cast includes top action stars Jet Li, Donnie Yen, Wu Jing and Tony Jaa from Thailand, as well as A-list actors Huang Xiaoming, Tong Dawei and Li Chen. Ma, 53, a fan of Louis Cha's wuxia (martial arts) novels, was inspired to make the movie in 2009 when he met Jet Li. They then co-founded a company to promote taiji in 2011 and decided to make a film to realise their goal. In the movie, Ma reportedly plays a taiji master, while Li portrays a Buddhist monk. A source close to Ma said: "Ma has a young heart. He loves art and culture. And martial arts has played an important role in shaping him." The complete version of Gong Shou Dao will be streamed on Youku, the online video provider affiliated to Alibaba, and screened in theatres. "As the movie aims to popularise and spread Chinese culture, the theatre screenings will not have tickets. Instead, people will be invited to watch for free," said Alibaba in a statement.